Often an obligatory treat when you visit the state fair, foods that are deep fried or on a stick is a must have at fair time. 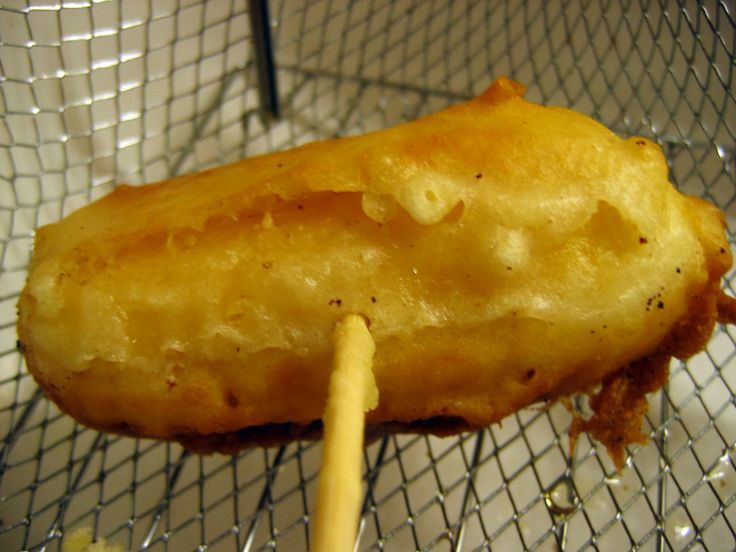 From deep fried bubble gum to deep fried birthday cake here are 5 of the most ridiculously good deep fried food on-a-stick creations you can eat. Doritos covered in batter, then deep-fried. Somehow the chips get fluffier and blistered in the frying process. Couple your order with some Ranch dipping sauce because Fried Doritos will probably be one of the most necessary finger foods you should try at the fair this year. An enormous, large-sized warm fluffy donut layered in warm icing that is topped off with enough Pop Rocks that you can just sense the sugar popping in your mouth. If your a fan of pickles and corn dogs you're in luck! Fair Vendors hollow out a kosher pickle putting a hot dog on a stick through it, and batters and fries the entire thing. Pickle Dawgs are a delicious fair tradition. 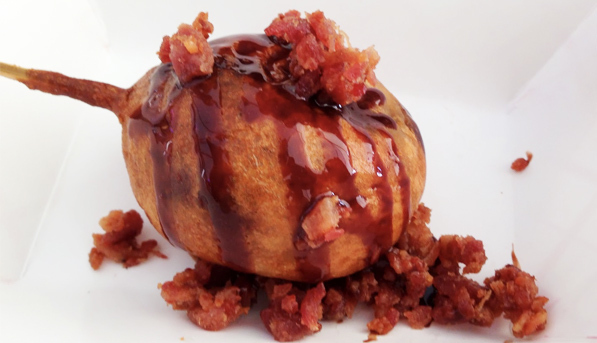 A Reese's Peanut butter cup dipped in banana batter that is then deep fried and covered in chocolate and bacon to make a concoction known as the Fat Elvis On-a-Stick. Make sure your glittered jumpsuit is expandable because this heaven-on-a-stick won't leave much wiggle room in the waistline. Deep-fried butter is a snack food made from a stick of butter that is coated with batter or breading that is then deep-fried. 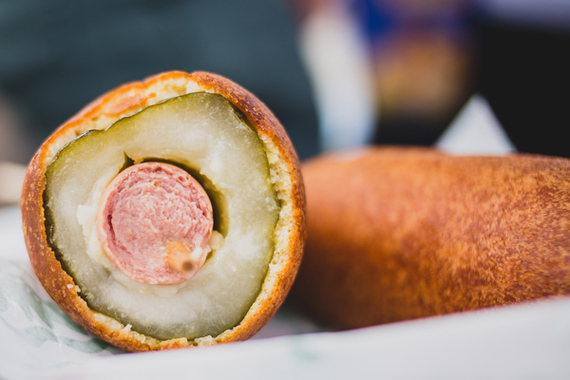 You won't have to go to the Land of Lakes to feast on this artery clogging fair food delight, this dish has been served at several fairs in the southeastern United States. Pretty much every candy bar in existence has been deep fried at a fair; Snickers, Milky Way, Three Musketeers, or Twix just to name a few. Candy bars dipped in batter, deep fried, and dusted with powdered sugar is a great treat no matter what candy bar you choose. 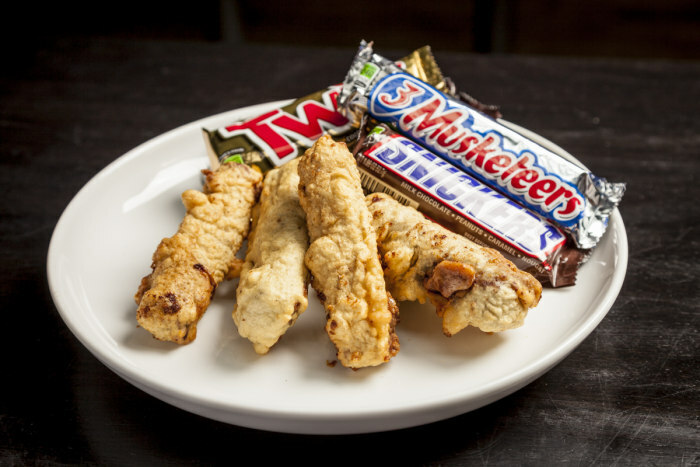 If you haven't a deep fried candy bar, you must try one this year. We guarantee it will satisfy your curious taste buds.